One of the region’s finest painters, Paul Morgan Gustin (1886- 1974) was born at Ft. Vancouver, WA and was raised in Denver, CO where he studied with Jean Manheim (1863-1945). 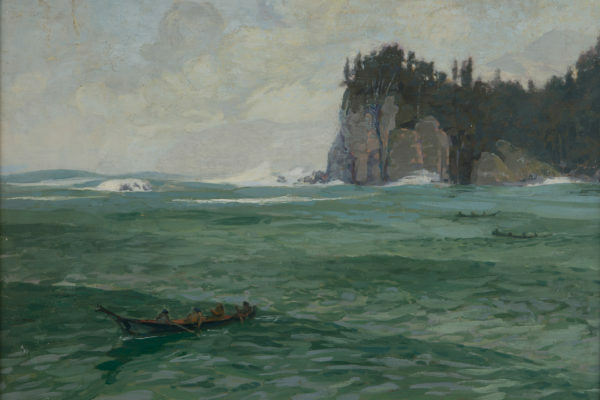 He returned to Seattle in 1906 and was inspired by the majestic beauty of the Northwest landscape and its ever-changing atmospheric weather conditions. He became nationally known for his depictions of Mt. Rainier and other mountains of the Olympic and Cascade ranges. Gustin and Partridge were the two most noted etchers active in Seattle during the early 20th century. In 2004, The Frye Art Museum mounted the first exhibition of Paul Morgan Gustin’s etchings curated by David F. Martin, the curator for Cascadia Art Museum. Martin also wrote the Frye’s catalogue documenting Gustin’s print production. We would like to thank the Frye Art Museum for graciously lending us these etchings from their collection.